Tallis' earlier life is not well documented, though it is known he was employed as an organist at an Abbey at the time of the dissolution of the Monasteries in England. He later took up a post in the Chapel Royal working in succession for Henry VIII, Edward VI, Queen Mary and then Queen Elizabeth I. This was obviously a period of substantial change in religious customs with the Reformation taking place in many countries across Northern Europe. As a catholic like the younger William Byrd who joined him at the Chapel Royal, Tallis would have had to serve the requirements of the church according to the prevailing religious climate. 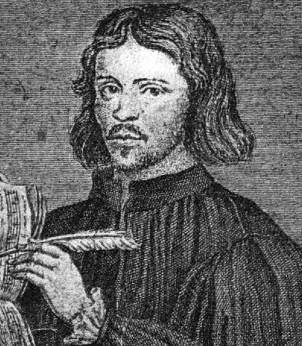 Among the works produced by Tallis there are a number of hymns which can still be found in hymn books today, including his canon universally known as Tallis' Canon, and the imaginatively named "First Mode Melody", "Third Mode Melody" and "Fifth Mode Melody". The "modes" referred to were roughly equivalent to a set of scales begining on different white notes of a keyboard, but because the tuning of the notes was based on exact frequency ratios rather than today's method based on the well-tempered compromise, each scale or mode sounded quite unique in colour rather than like the same scale transposed. Tallis' Third Mode Melody in particular is well known by virtue of its use by Ralph Vaughan-Williams in his "Variations on a theme by Thomas Tallis" which in turn has featured in films such as "Master and Commander: The Far Side of the World". 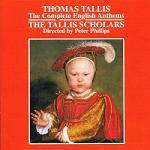 An interesting piece of trivia which recently came to light is that some lyrics to a work by Thomas Tallis discovered in the 1970s and called "Gaude Gloriosa" were in fact written by Catherine Parr. Queen Catherine Parr was the sixth and final wife of King Henry VIII and outlived her husband by a year. The work is now planned to be performed in April 2017. Play an arrangement of Tallis' Canon, print the corresponding Sheet Music, download this as a MIDI file or as an MP3 file. Play Third Mode Melody (for keyboard), print the Sheet Music, download the MIDI file or MP3 file. Play Third Mode Melody (for 4 SATB recorders), print the Sheet Music Score, download the printable parts for Soprano, Alto, Tenor or Bass recorders, download the MIDI file or the MP3 file.